Coronal section of pelvis, showing arrangement of fasciæ. Viewed from behind. The peritoneum of the male pelvis. Median sagitta section of male pelvis. Male pelvic organs seen from right side. Vertical section of bladder wall. 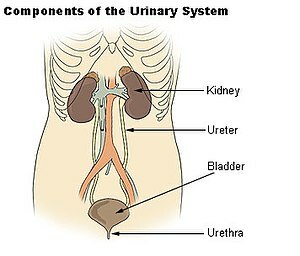 The bladder can be seen highlighted in yellow in the illustration. Layers of the urinary bladder wall and cross section of the detrusor muscle.